Convenient staple foods mainly include instant noodles, instant rice, convenient porridge, clams, dumplings, buns and so on. At present, the drying methods for producing convenient staple foods mainly include hot air drying, microwave drying, microwave hot air drying, vacuum freeze drying and the like. Many scholars have compared these drying methods to find that the convenient staple food produced by vacuum freeze-drying technology has a good taste, the nutrients remain intact, the rehydration is good, the drying effect is obviously superior to other drying methods, and it is especially suitable for nutrition due to low temperature operation. Strengthen the production of food. The fast-food dumplings obtained by Shao Wei and others through freeze-drying can be soaked in hot water of 90~95°C for 8~10min, and can maintain the original shape and structure of the dumplings, and have better instant dissolution. and rapid rehydration. The series of ATHENA Refrigerated thermostatic bath has adopted the latest international advancedCFC-free refrigeration system.The main components used are imported and the performanceis stable and reliable. 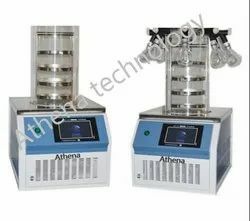 It is widely used in research institutes, universities, corporate qualitycontrol departments and industrial sectors relating to petroleum, chemical engineering,electronic instruments, physics, chemistry, bio-engineering, medicine and health, life science,light industry and food, materials testing and chemical analysis etc. 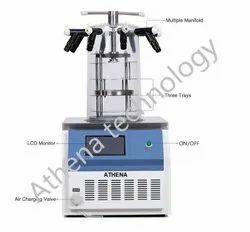 It is used to put trialsamples or newly-made products to a constant-temperature test.It can also be used as a heatsource or cold source for a direct heating or cooling and auxiliary heating or cooling. Pick ripe fruit, peel off the peel, dry or dry at low temperature. However, due to environmental factors, the drying method is likely to cause pollution of dried tangerine peel and mildew in rainy days. 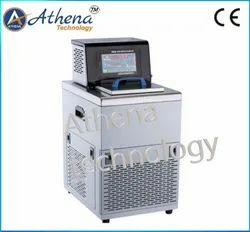 With the continuous development of vacuum freeze-drying technology, the Indian herbal medicine freeze dryer is gradually applied in the freeze-drying of dried tangerine peel. The principle of freeze-drying of dried tangerine peel is: prepare fresh orange peel, then put it into the drying chamber of the freeze dryer for low-temperature freezing, freeze the water inside the orange peel into ice, then vacuum and sublimate to dry, so that the solid ice inside the orange peel becomes gaseous. , thereby obtaining freeze-dried dried tangerine peel. Looking for Refrigerated Thermostatic Bath ?